Today we present an article from the July-Aug 1946 issue of ARMOR titles “The Interphone System for Armored Vehicles” by Lt. John Heran. 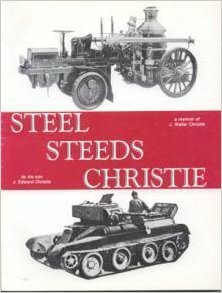 This piece explains the operation of the interphone system in US WW2 era tanks. It includes a list of terms used by tankers of the period. With all the attention focused on the new Russian T14 Armata tank, we thought it was appropriate to post this article from the Jan-Feb 1996 issue of ARMOR on the issues involved with an external gun turret. According to what is known so far about the Armata, it features all three crewmen seated in the hull with an unmanned turret. The article addresses some of the advantages and disadvantages of such a layout, although it is primarily critical of the idea. Of course, the article is almost 20 years old so the author’s concerns about crew visibility and situational awareness do not take into account the huge advances in miniaturized cameras and video devices in the past decade. 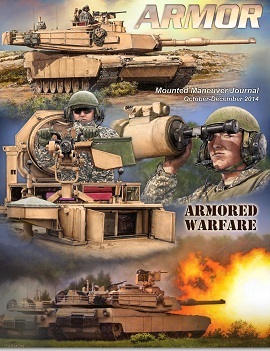 The October-December 2014 issue of ARMOR was posted online on March 20th. ARMOR is the official magazine of the US Armor Branch and has been published in one form or another for 125 years. As the Armor Branch’s professional-development bulletin, ARMOR issues will vary in terms of how much they will be of interest to the average person interested in tanks and armored vehicles. Fortunately, there is a search feature on the eArmor page and select back issues are available for download. Of particular interest is a series of articles from past issues collected as eArmor Heritage Historical Series. It is worth noting that this list includes an article by Richard Ogorkiewicz titled “The Ten Ages of Tank” from the May-June 1952 issue. Considering that Ogorkiewicz just recently had a book on tanks published by Osprey, it’s fair to say he much hold the record for longest writing career on the topic! The newest issue of ARMOR may be downloaded here. Back issues are available here.